Fast. Results typically ready in 1-2 minutes. Accurate. Verified to the Australian Standard AS 4308:2008 and used by laboratories, government agencies and corporations across Australia! Affordable. Best priced all-in-one drug test cup in Australia — Guaranteed! Collector Activated Cup. Collector controls the process. Easiest kit to use: donor provides specimen in cup, place lid on and tighten, tilt to read results. Adulterant and temperature strips built in. We also use this as an onsite testing product. 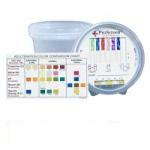 Eliminates Collector Error – the only no flood dip test in Australia. 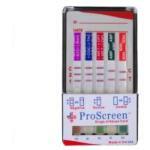 Built-in Specimen Validity test to defeat specimen adulteration. Affordable. Best priced all-in-one drug dip test in Australia — Guaranteed! 5 panel saliva test for THC, COC, AMP, MET, OPI. Collection test and swab in one device. Easy and fast one-step test. Sophisticated technology The optimized 1/4″ electrochemical (fuel cell) sensor of the hand-held device reacts specifically to alcohol, and features very quick response times. 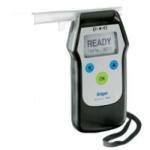 Even with a very high alcohol content, the device ensures quick measurement results. The results are displayed on a backlit glass. Special Mouthpiece DesignEven in dark conditions, the mouthpiece can be fitted quickly and easily. The air outlet on the mouthpiece cannot be closed off, thus elimating the possibility of manipulating the results. A distance piece ensures optimum hygiene as it prevents contact between the test person’s lips and the housing.raphic display via text messages, with a corresponding colour LED and an audible signal. Comfortable operationThe measuring functions are easy to operate: The user controls all measurements with a simple push button. Two additional keys enable quick and simple menu navigation. In addition, the user will have text messages shown on the display, supported by LEDs in different colours as well as accoustic signals. Sampling, menu operations and calibration are carried out automatically. Easy handlingThe instrument is no larger than a shirt pocket. Due to its special ergonomic shape, it can be operated by right-handed and left-handed people. Graphic LCDThe results are displayed on a backlit graphic LC display in various units of measure. Text messages are unabreviated and accompanied by corresponding colour LEDs and audible signals. The instrument has four standard, selectable languages: English, German, French, Spanish. The integrated data storage can store up to ten test results. 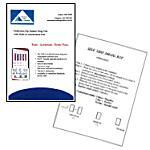 With the test numbering system, the user can select test results and display them on the graphic display. Low energy consumptionThe device is powered by 2 AA Alkaline batteries, sufficient for > 1500 tests at room temperature. Safe and hygienicA special tab on the mouthpiece assures a safe distance between the operator’s hand and the subject’s mouth. Sophisticated technologyThe electrochemical sensor (fuel cell) of the Dräger Alcotest® 6810 reacts specifically to alcohol and excels with very short response times. 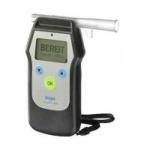 Even with a very high alcohol content, the device ensures quick measurements. Simple test procedureWith its patented mouthpiece with non-return valve, the device meets the most demanding hygiene requirements. To prevent manipulation as much as possible, sample collection is controlled by a microprocessor. The test results are displayed on an illuminated graphics LC display and accompanied by colour LEDs and accoustic signals. Passive sample taking is also possible. 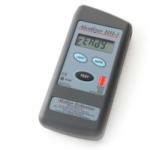 Simple 3 button operationThe Alcotest 6810 is compact in design and is very easy to operate. Thanks to its special ergonomic shape, the device is suitable for operators who are right-handed or left-handed. The breath sample is collected automatically and data for Police applications data can be enter simply using the 3 buttons. Recording test resultsThe device has a memory for up to 250 test results. Via an optical interface, the logs can be printed on the Dräger Mobile Printer or, transferred to a PC. Device configuration is also carried out via a PC communication. All test results are accompanied by a time stamp. Low energy consumptionThe device is powered by two AA alkaline batteries, which yields over > 1,500 tests. NB. Device will cease operating when calibration is due. This prevents the user from obtaining a test result that does not comply with AS3547 requirements. 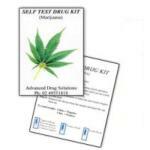 Self testing kit that tests for THC, COC, AMP, MET, OPI, BZO. Cost effective way for employees to test themselves in the privacy of their own home. Synthetic cannabis is a psychoactive herbal and chemical product that, when consumed, mimics the effects of cannabis. 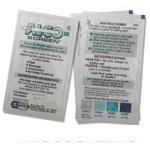 It is best known by the brand names Kronic, K2 and Spice, but all refer to synthetic cannabinoids, or synthetic cannabis products. The studies suggest that synthetic cannabinoid intoxication is associated with acute psychosis, worsening of previously stable psychotic disorders, and also may have the ability to trigger a chronic (long-term) psychotic disorder among vulnerable individuals such as those with a family history of mental illness. A large and complex variety of synthetic cannabinoids, most often cannabicyclohexanol, JWH-018, JWH-073, or HU-210, are used. Synthetic cannabinoids, or synthetic cannabis products are often marketed in herb or tobacco shops, or over the internet and on the black market. What are its Street Names?